The standard Jubilee clip has been on the market for over 90 years and has become the benchmark other clips try to live up to. Made in the UK to a very high standard. 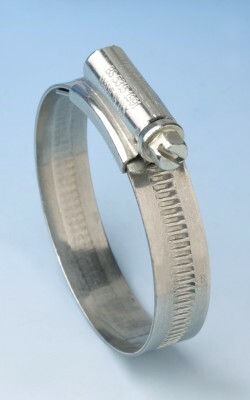 We stock standard Jubilee Clips, Multiband and the Flexidriver. The rest of the range is available on a speedy delivery. Supplied in three parts. The band, the housing and the screw. all you have to do is cut to length and add housing and screw. 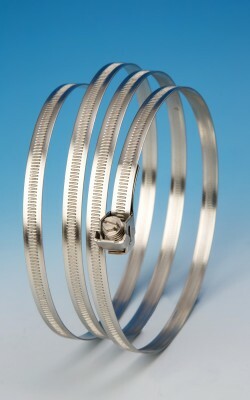 Supplied as mild or stainless steel in 7mm or 11mm wide. 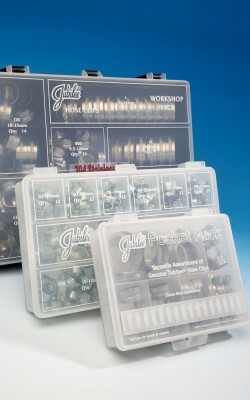 "Every toolbox should have one"
Rapid easy adjustment of Jubilee clips is made possible with our Flexidriver. 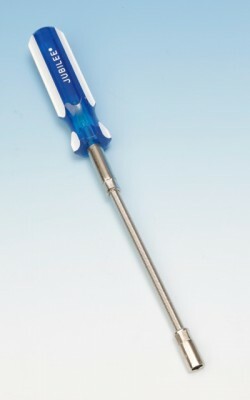 The Jubilee Flexidriver ia a high quality precision product incorporating a 7mm A/F socket head specifically designed for Jubilee hose clips and has a flexible shaft to enable the user to reach into all those awkwardly placed Jubilee Clips. We offer assorted packs covering the most popular sizes making it possible to keep a selection of sizes, appropriate to any situation, to hand in one convenient pack.